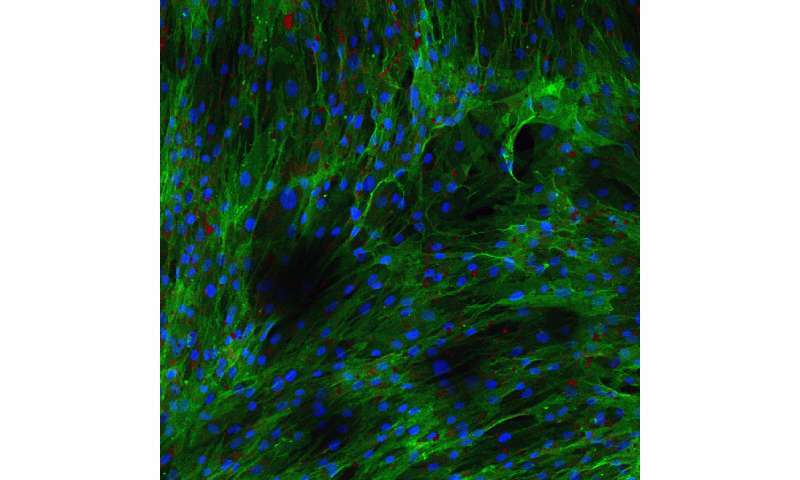 Image shows human stem cells stained in green color. Credit: Prof. John R. Bracht. With all of these clues pointing toward the rogue cells being stem-like, the team continued their work. Finally, the team found the dormant cells could awaken, become active stem cells, and turn into useful fat, bone or cartilage—fulfilling a definition of true stem cells, in spite of their unusual behavior and fat-like gene expression. "We want to figure out how do these cells decide whether they're going to accumulate fat or not. There's something behind that—some gene program and epigenetics mechanism," Bracht said. "We're busily following up in the lab on that right now."